How do you face the world and look in the mirror each morning with confidence when your skin is breaking out and you feel self-conscious, inflamed and sore!!!??? Acne is a very real and widely spread skin condition and you are not alone if you are struggling with this. Acne also varies in severity. So what causes Acne? In general terms, Acne occurs when the pores on your skin become blocked with oil, dead skin or bacteria. To explain a little bit more in depth. Every pore on your skin is the opening to a follicle and each follicle is made up of a hair and an oil gland. The oil gland releases oil which travels up the hair, out the ore and onto your skin. This oil helps to keep your skin lubricated and soft. Acne is caused by one or more problems in this natural lubrication process. Too much oil is produced by the follicles. Dead skin cells accumulate in the pores. Bacteria builds up in the pores. And there you have it. All of these problems contribute to pimples. A pimple appears when bacteria grows in a clogged pore and the oil is unable to escape. And there are lists of very famous people that suffer from acne and have been very outspoken about it as well. And some of them you would never even guess it. We all want to look and feel our best. This is a fact. You also do not want to plaster your faces with layers and layers of concealers, but what to do when you suffer from acne? You have options from medication right through to laser therapy. It is completely up to you which you prefer. And there is no shame in seeking professional assistance for acne. Much rather have a professional assist than listening to old wives’ tales of what you should or should not be doing. 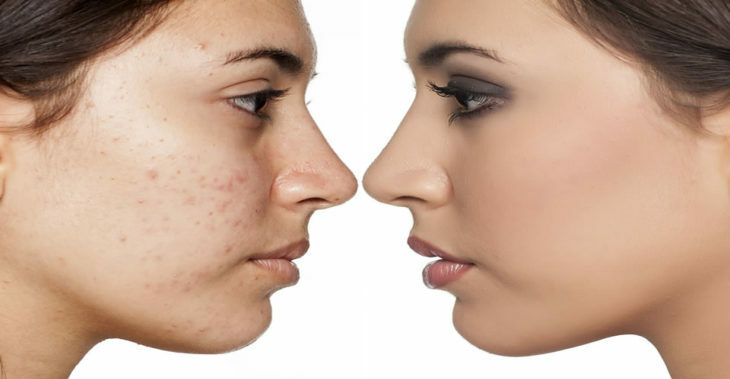 Let the friendly and professional team at Silk Laser Studio assist to solve your acne problem. CALL them today. The team is waiting for your call.